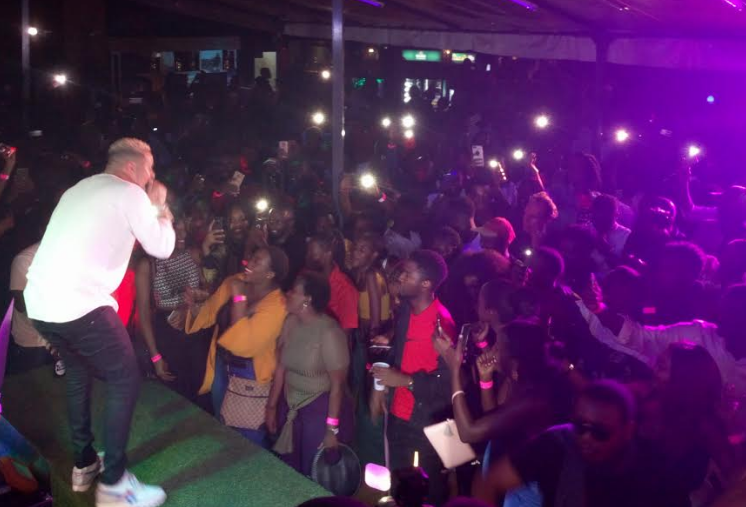 KAMPALA – South African rapper AKA real name Kiernan Jarryd Forbes last night Thursday 31 left Kampala partygoers yarning for more of his performance as he celebrated his 31st year in the city. AKA held his birthday tour dubbed the ‘Bhovomania Birthday World Tour’ in UAE and East Africa and the last day of January saw him at Cayenne Bar and Restaurant in Bukoto, Kampala, Uganda. The hip-hop star who just turned 31 was born to mixed-race parents, a Dutch and an African, on January 28, 1988. The Ugandan version of the private party was sponsored by Johnnie Walker. AKA stepped on stage at around 11:30 pm and performed some of his songs that left revelers especially ladies screaming more music. 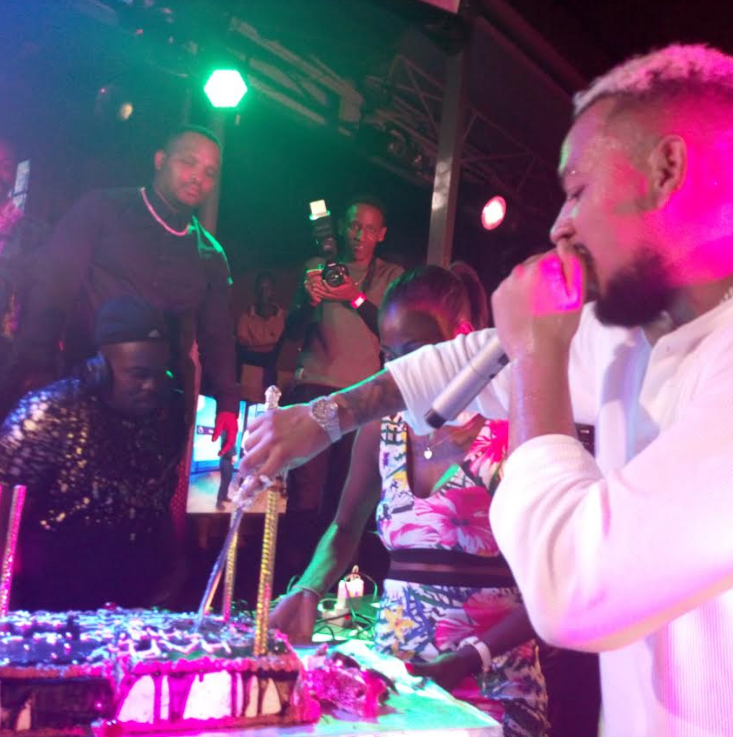 “I didn’t come to Perform but am extremely happy for the love and support you have shown me since I came in the country, and Mwebale nyoo,” said AKA as he cut the Birthday cake. The self-proclaimed ‘Prince of Rap’ is well known for great hits like ‘Fella in Versace’ , ‘Caiphus song’, ‘all eyes on me’, ‘make want sing’ featuring Diamond platinum and many others.